Something like this happens often. 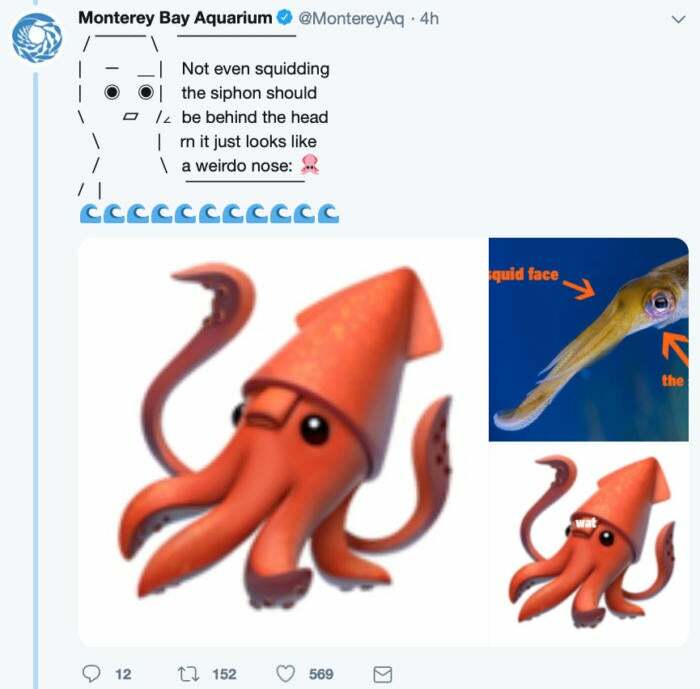 The Monterey Bay Aquarium has amassed a following of more than 151,000 people partly thanks to its habit of repurposing trendy memes in order to educate followers about ocean life, and this was but another example of that practice. Considering that this inaccuracy survived for two years without most users noticing, it’s rather clear there needs to be more awareness. It’s hard to say if Apple will change the emoji in response. We’ve seen how quickly it took action with the bagel, after all, although—more to the point—the Cupertino company still hasn’t altered the octopus emoji to make it look as though it has eight appendages rather than four.